This page includes links to important and valuable sources of information in healthcare, related professions and companies. ICD(UK)LTD publisher of the successful Brace and Support e-commerce website OrthopaedicsAndTrauma.com. The newest and most modern Private Medical Clinic in London the Chelsea Outpatient Centre. The largest Sports Injury Clinic in the South West of the UK. Hospital Based Physiotherapy Sue Heard and her team at the BUPA Cromwell Hospital have provided a highly professional service to Mr Hardy'spatients for many years. 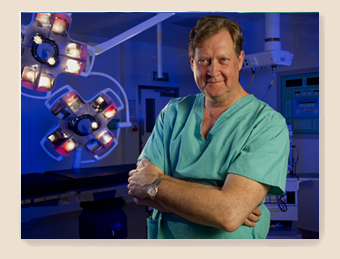 The team are highly recommended for the management of arthritis and sports injuries. Physiotherapy City of London Mr Hardy regularly refers patients to this centre of excellence in the heart of London City for the professional Physiotherapy and Podiatry services on offer at the BUPA Wellness Clinic, Barbican. London Physiotherapy is provided to a high standard by Six Physiotherapy who have branches in many residential areas of London. Domicilliary Physiotherapy is provided by this growing practice of physiotherapists. Mr Hardy recommends them for his VIP patients who have little time away from work or home to visit a practice. Hospital Based Physiotherapy Nati and her team are highly recommended for the management of musculoskeletal problems. Their aim is to provide personal, professional and highly skilled diagnosis, treatment and rehabilitation allowing you to recover fully and return to your normal activities within the shortest and safest period of time. Bristol Physiotherapy is provided to a high standard by Keith James Physiotherapy with two practices in Bristol operating under the management of Keith James, a highly respected and experienced physiotherapist. Keith has gained experience within the NHS system, in Australia, in professional sport working both with Bristol Rovers and Bristol Rugby Club, and since 2003 working in the private sector. Physiotherapy is the UK's best known physiotherapy site with several clinics around Bristol and a wealth of other related information. Central London ChiropractorsThe Wilbraham Place Practice is a multi-disciplinary clinical practice headed by Dominic Cheetham which opened in June 2001. Sloane Square Chiropractors provides the highest standard of chiropractic care at this prestigious location.